We have had a very warm November. Last night we had some rain, and then a cool clear morning, but by this afternoon it was about 75 degrees again. 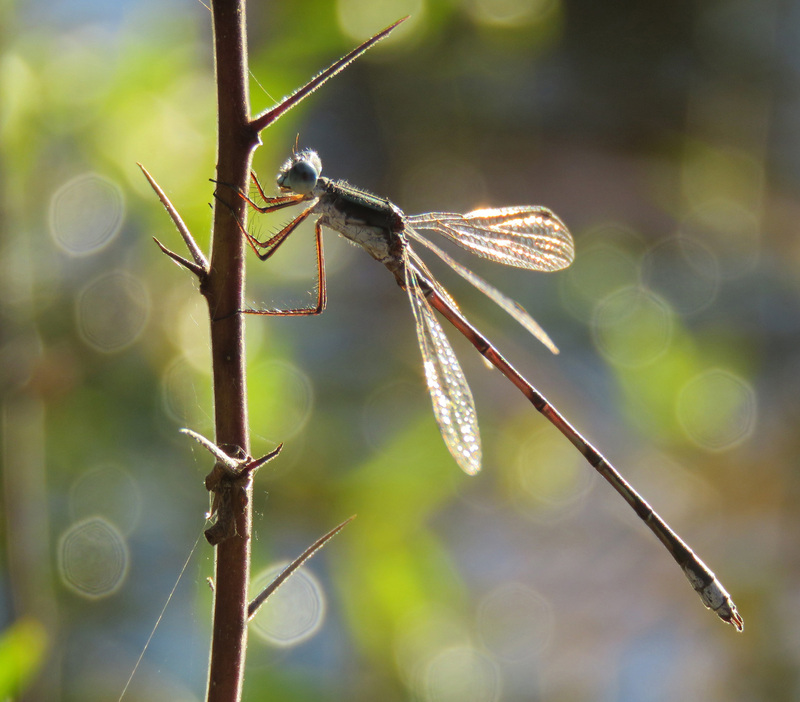 As I walked near the pond, I saw dozens of damselflies. They are so hard to get a picture of, because they are only about 1.1 to 1.5 inches long (29 to 39 mm), and so thin — it’s like trying to get a picture of a piece of string. But here are a few that came out well enough that I could identify the species. 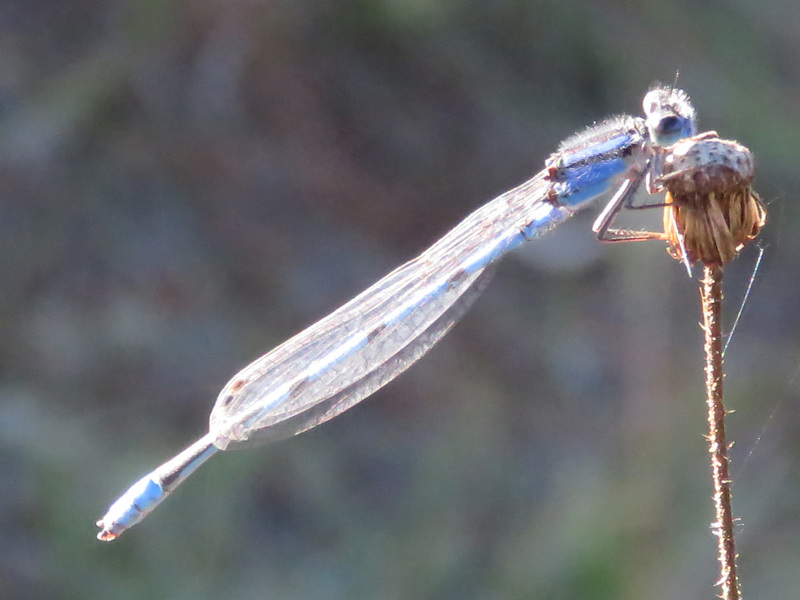 Damselflies are easy to sort into groups by their silhouettes and by how they hold their wings, but within the groups, it isn’t easy to tell the species apart. There are about 30 species I could expect to see in my part of Texas (77 throughout the state) so there is a possibility I will learn them all. 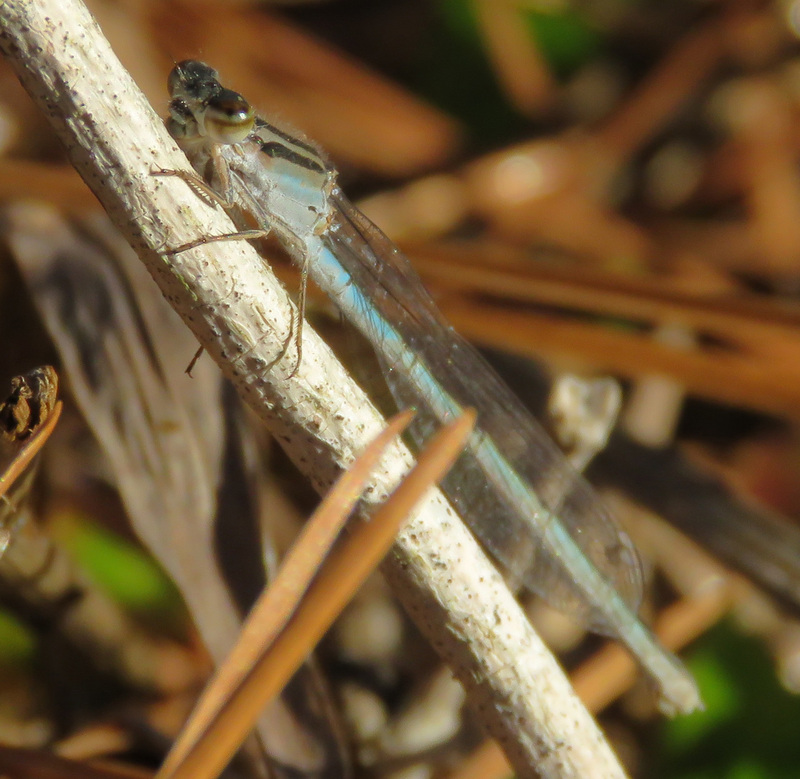 Familiar Bluet female, I think. Have a good day. Be thankful. I’m sure you are.